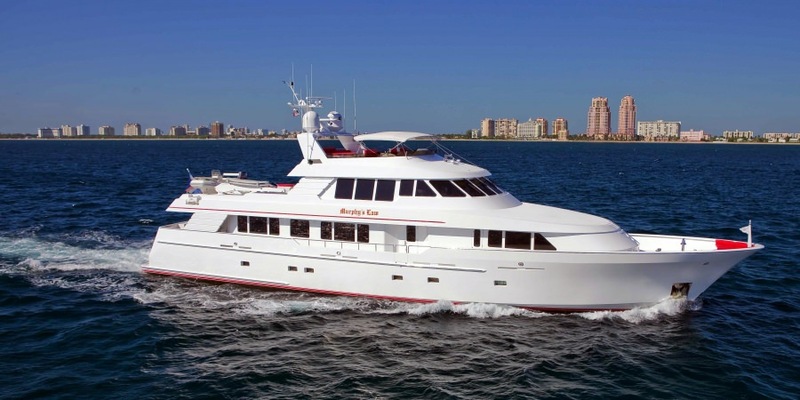 �Anything that can go right will go right,� is Murphy�s Law on this yacht. The antithesis of ordinary life, Murphy�s Law is a paradisiacal self-contained world, catering to those desiring attentive service and a good time. The thoughtfully designed layout includes many convivial gathering spots from a sit-down bar in the main salon, to a games table in the sky lounge. 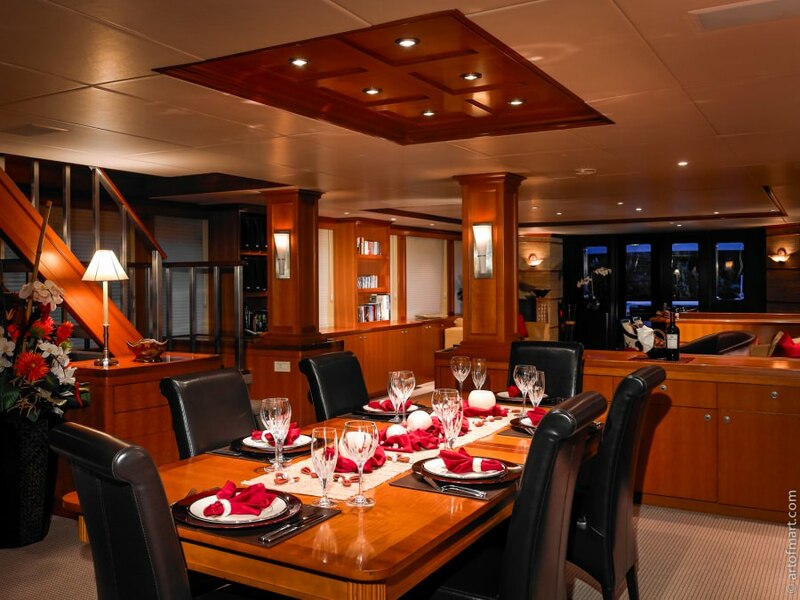 It allows guests the choice of dining alfresco on any of the three decks, or inside in formal elegance. 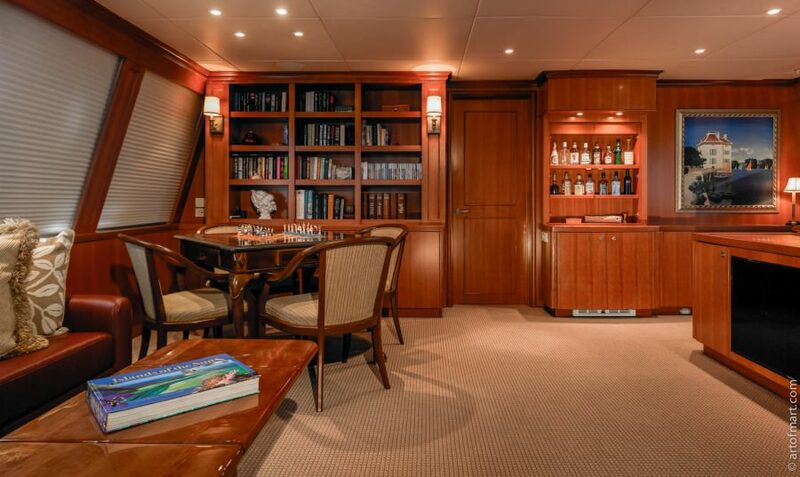 Soft muted tones and cheerful light cherry joinery offer a soothing ambiance for eight guests on the lower deck. 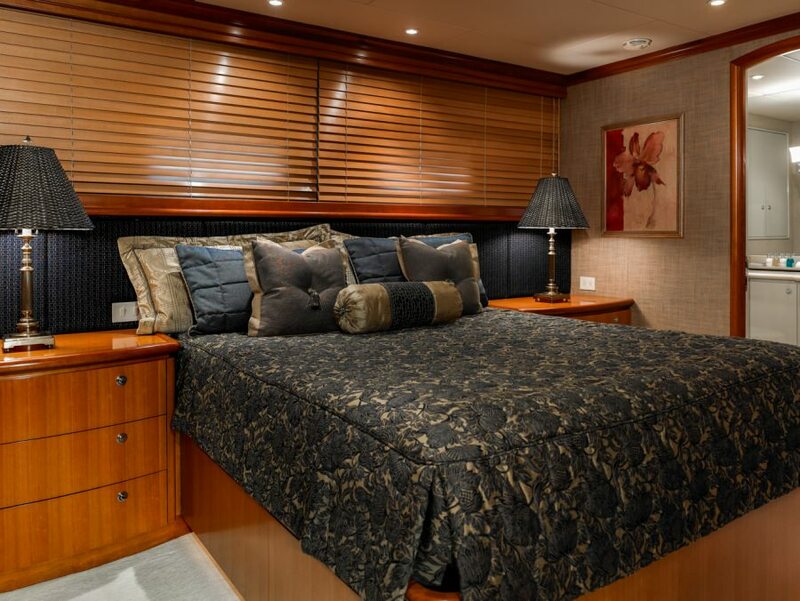 The master suite is advantageously located amidships at the point of least motion. 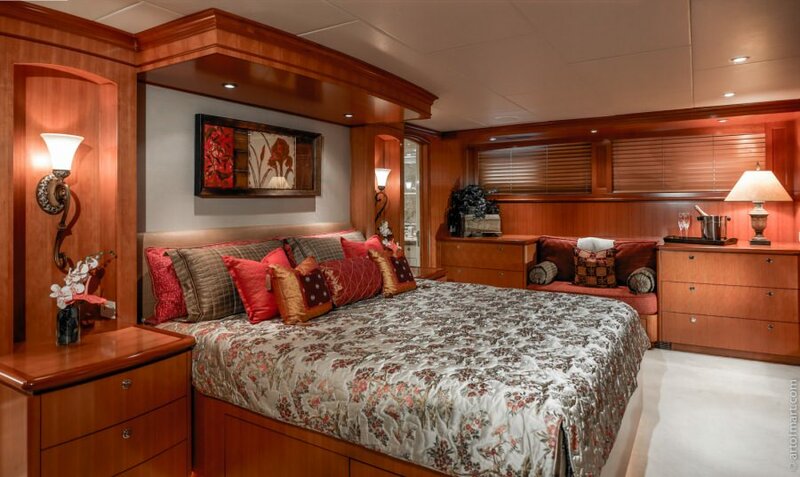 It features a California king bed and a generous his-and-hers bath lavished in stunning marble. 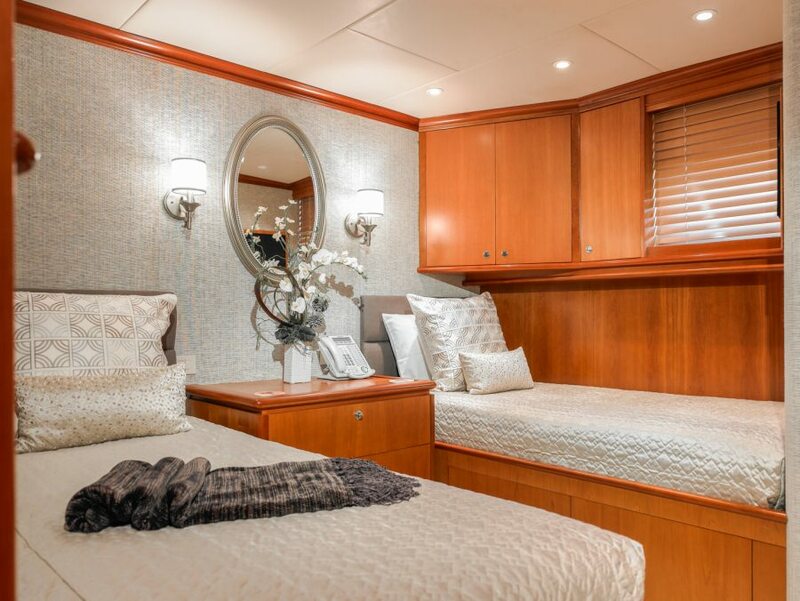 A VIP queen suite and two twin staterooms complete the accommodations. All rooms have LCD televisions with Direct TV and DVD/CD systems. 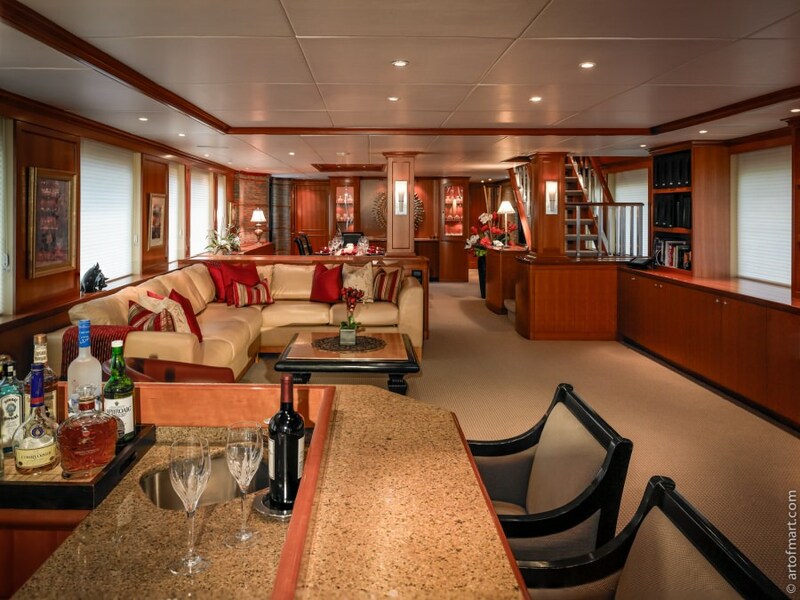 Murphy�s Law spacious interior opens to equally tremendous deck spaces. 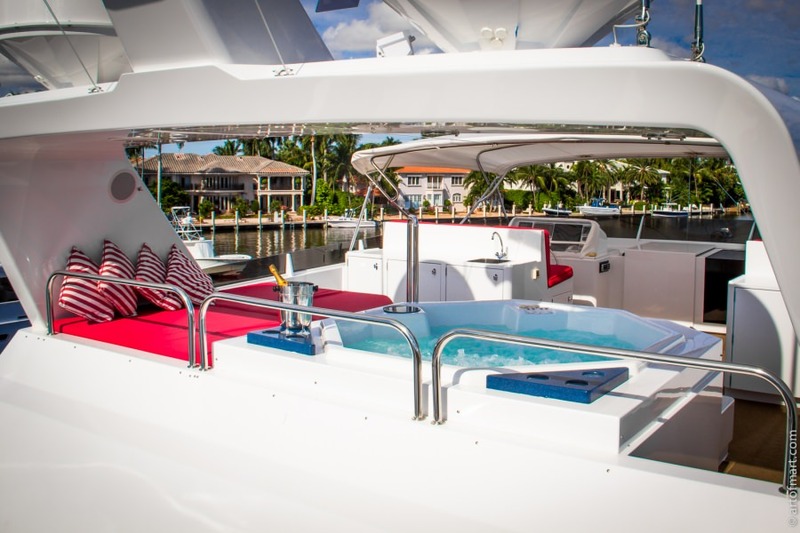 The sun-drenched flybridge is equipped with a stereo system to accompany the Jacuzzi dips and barbeques. 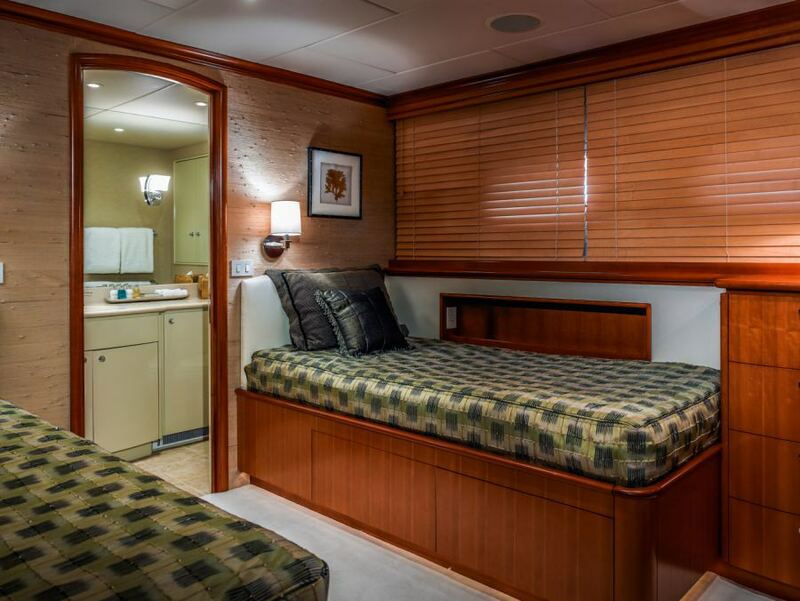 Put the two four stroke Honda wave runners and the 15- foot Novurania in the water and the upper aft deck is ready for parties or afternoons under an optional sunshade. In addition to a full complement of toys, a 26- foot center console Regulator, fully equipped for fishing, also accompanies the yacht.